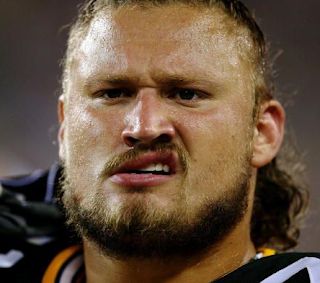 Yesterday, Josh Sitton caused a stir with some of his inflammatory comments about the Detroit Lions. In my opinion, these statements are about as inflammatory as a wet book of matches. This is just one more example of “the media” taking someone’s comments, comments stemming from a much larger conversation, out of context and rearranging them in such a way as to condemn the subject. Taken out of context, *maybe* these comments are somewhat inciting, but added to full the discussion Josh had on the radio program, they may not be. Robert and I obtained the full transcript from Josh’s discussion, and we thought it would be important to share with you to provide you, our loyal four readers, with the full picture. Hopefully, this allows you a more to draw more informed conclusions on whether this should be considered bulletin board material. Editor’s note: Now here is where Josh begins his initial discussion of Jim Schwartz and the Lions’ defense. Editor’s note: This portion of the discussion is where the certain quoted remarks in question were made. Remarks that were shared across the interwebs and *might* possibly, *maybe* be considered inflammatory. Unfortunately, these were the only remarks that everyone heard, thus, not allowing for the full picture. The conversation continues below. So, dear reader, after hearing the statements in the proper context, you are better allowed to make your own judgments on Josh Sitton’s comments. Darn those media hacks! Never want to focus on the facts, just looking to stir up some controversy to get people's attention and increase their web hits!